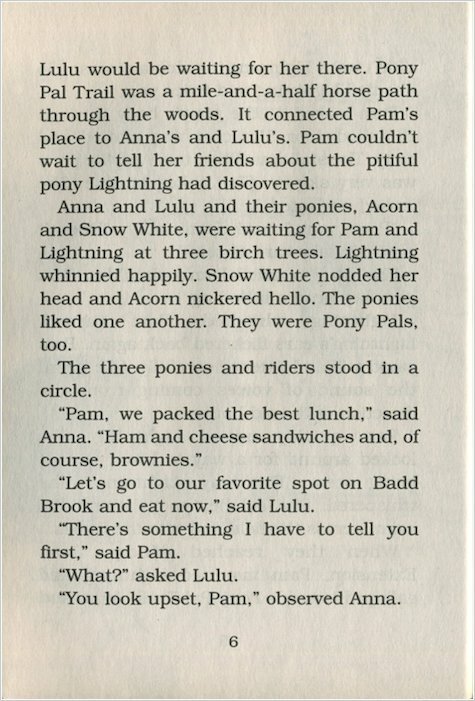 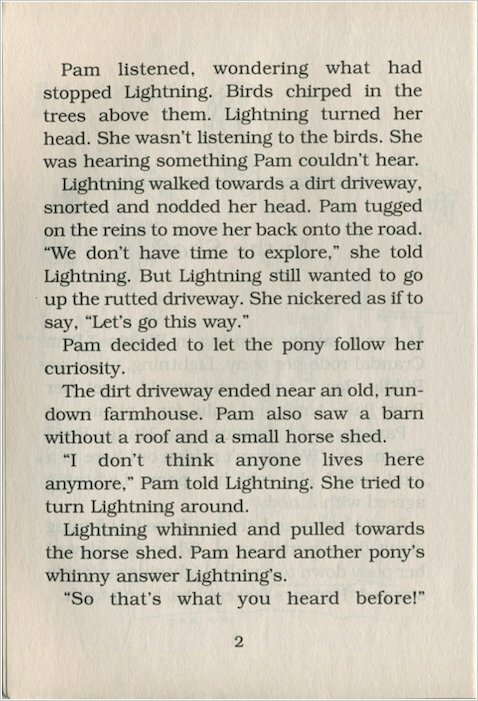 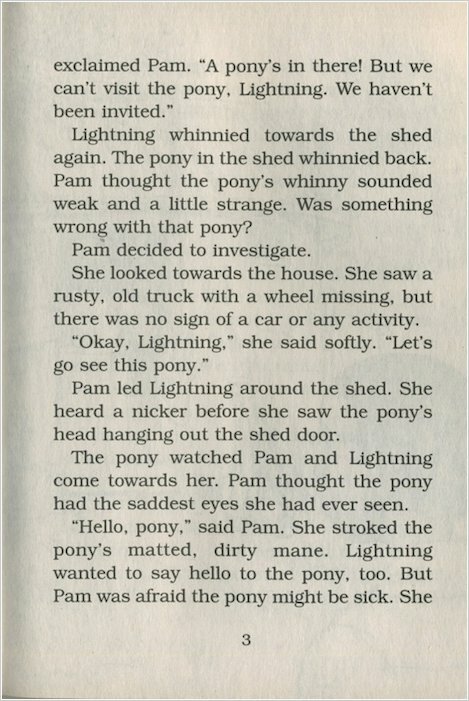 Pam and Lighting discover an old pony in a ramshackle shed. 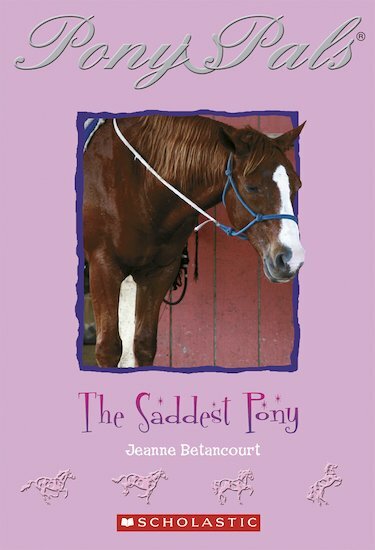 Lonely and neglected, she is the saddest pony they have ever seen. 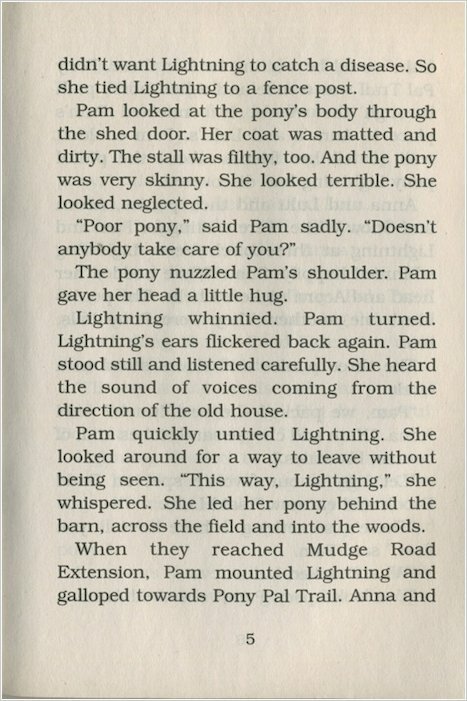 Who are her owners? 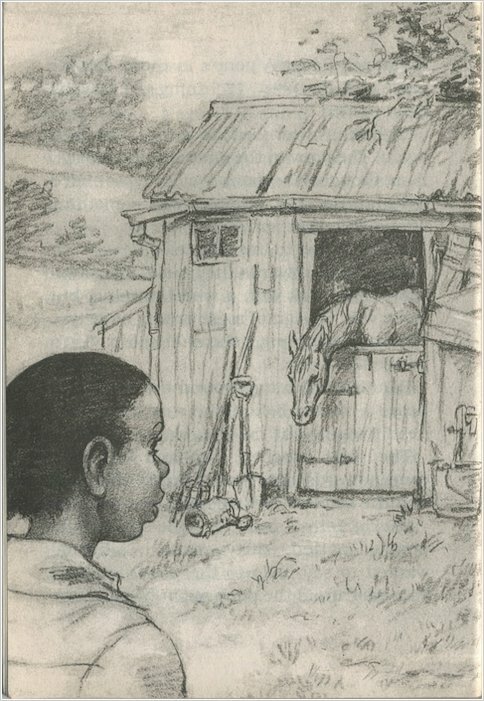 Why aren’t they taking care of her? 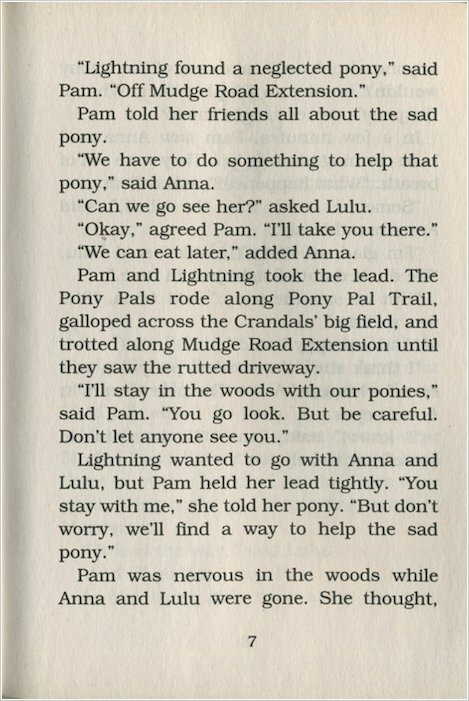 The Pony Pals must find a way to help. 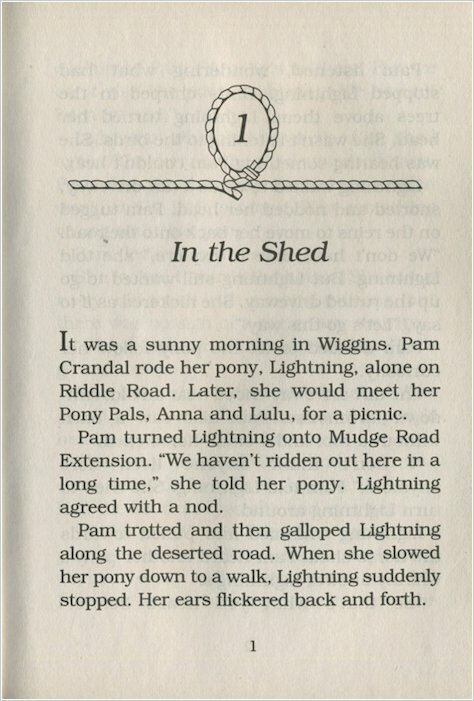 This is a light and easy read for animal lovers! 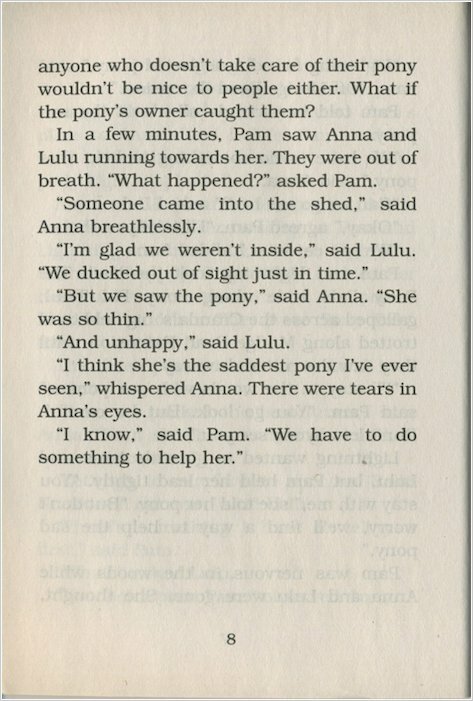 It will make you cry at times, amazingly written.